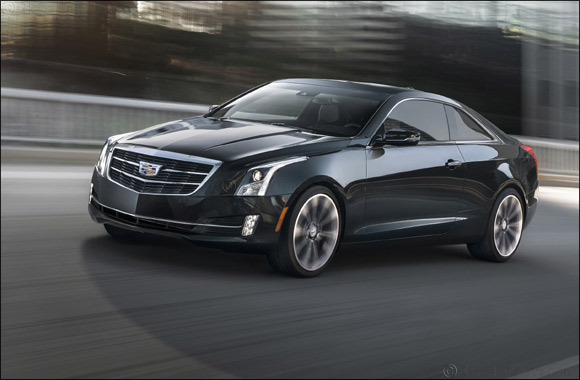 Dubai, UAE, January 09, 2019: Cadillac has announced the arrival of the 2019 ATS Coupe in the Middle East. The ATS is one of the segment’s most exhilarating and agile luxury cars. The ATS boasts the latest Cadillac user experience system to make it one of the most connected cars in its class. The system is redefined through innovative features such as Personalized Profiles, integrated smartphone-like navigation, increasing user connectivity and creating a more user-friendly system. Standard leather seating surfaces with heated, 8-way power front seats with lumbar support show off Cadillac’s handcrafted cut-and-sew application. Programmable memory driver seat and mirror controls are at the fingertips of every ATS Premium Luxury Coupecustomer. Other standard connectivity and convenience technologies include Cadillac’s Driver Awareness Package, Rear Vision Camera, 220-volt conventional power outlet and upgraded Bose Premium Surround system. A driver-focused interior with integrated technology and crafted materials complements the exterior elements and supports the Cadillac ATS’s driving experience. A choice of real wood, metal plating and carbon fiber trim, and Cadillac’s cut-and-sewn instrument panel, console and doors enhance the emotional connection to the ATS.